Bret Bielema has turned his Hogs loose down the stretch and hopes his top playmakers on offense, running backs Jonathan Williams and Alex Collins, have enough left in the tank to melt the clock and pound his team’s final opponent in Friday’s ‘Battle Line Rivalry’ at Mizzou. 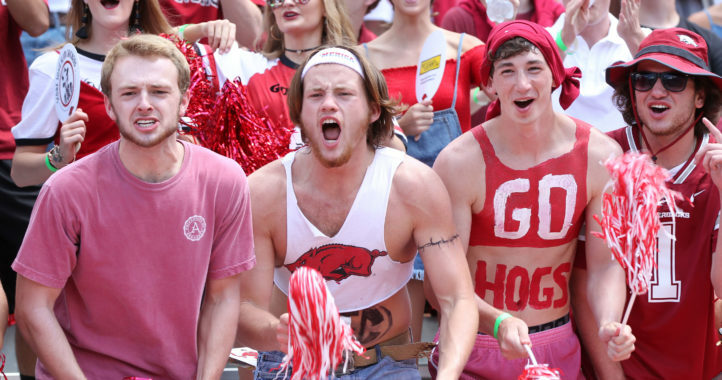 The only opposition that’s been able to subdue the Razorbacks’ two-headed monster backfield has been the steel hog pen located beyond the open end zone at Donald W. Reynolds Stadium. Houston Nutt, a former coach with a run-heavy mindset, would be proud. In 2007, Nutt’s bruising backs Darren McFadden and Felix Jones each rushed for more than 1,000 yards, eclipsing their total production from the previous season. Collins needs 35 yards this week to reach 1,000, joining Williams as the the first duo since McFadden and Jones to accomplish the feat. Before mentioning Collins and Williams in the same breath as the Razorbacks’ previous prolific rushers, you must also take into account each team’s overall strength during those seasons. 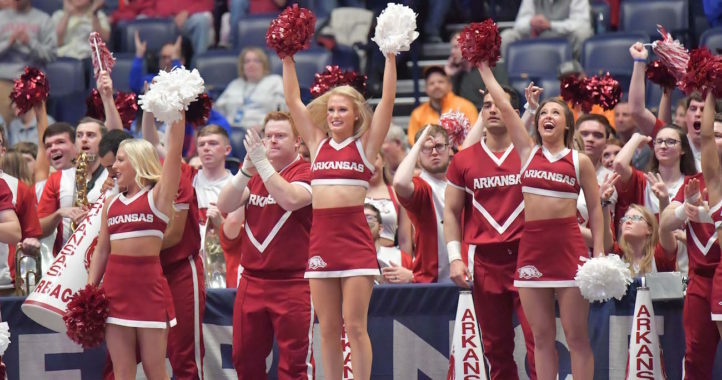 This year’s squad is in the midst of a program turnaround in comparison to Nutt’s tenure when a winning mindset had already been established in Fayetteville. The Razorbacks combined for 18 wins during the 2006 and 2007 seasons, capturing 11 SEC victories over that span. This season, Arkansas recently snapped a 17-game conference losing skid and is now bowl eligible for the first time since 2011. The running schemes were also much different for the talented pairs. Former Arkansas offensive coordinator Gus Malzahn used his creativity in finding ways to get McFadden and Jones the football, often putting both on the field at the same time to confuse the defense. Direct snaps to McFadden were nearly unstoppable when the Wildcat formation — known as the Wild Hog in Fayetteville — was becoming popular. Nutt liked the formation so much he continued to incorporate it into his game plan when he left for Ole Miss after the 2007 season. Under Bielema, the Razorbacks have taken a more direct approach between the tackles and to the outside, letting Collins and Williams work behind a massive offensive line. A less dynamic mindset has led to fewer mistakes and the SEC’s second-most rushing touchdowns (30) this fall. As I recall, Mizzou met Arky in the 2008 Cotton Bowl and shut McFadden and Jones down. In fact, I believe that the Mizzou tailback set the Cotton Bowl record for yards and rushing TDs. Doesn’t have much to do with this year’s teams though. Did he not know how to get the ball to McFadden and Jones? A seriously lame excuse. So much crap talking about everyone. So much of everyone else not caring. And yet you take the effort to reply.